The oft-troubled F-35 may be on the verge of facing an even greater series of delays that could affect the supply chain of the aircraft and work agreements with jet-partner Great Britain. At the root of the problem is the still-unresolved issue of the F-35’s ejection seat, which runs the risk of causing fatal whiplash in pilots under 200 pounds. The issue is most pronounced with lighter-weight pilots, with those weighing under 136 pounds now barred from flying the aircraft for safety concerns related to the F-35’s Martin-Baker ejection seat, Defence News reports. 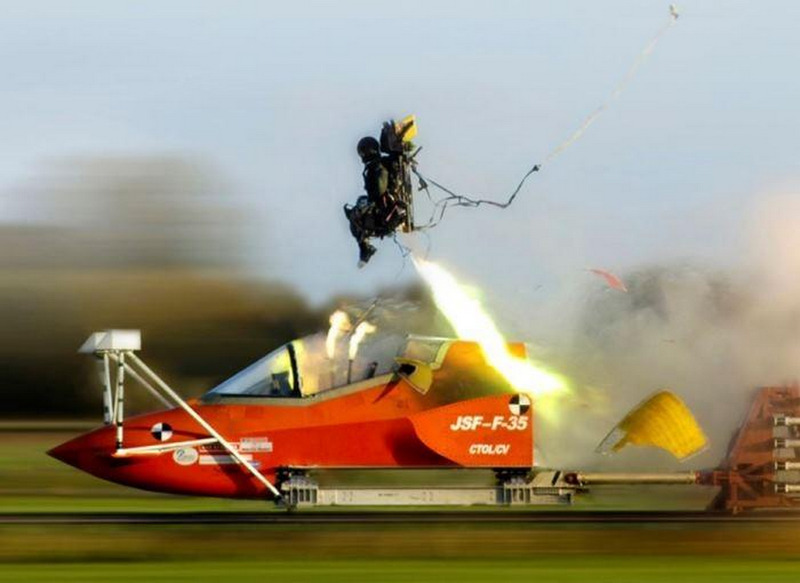 The problem with the ejection seats has been known since at least October 2015. But so far, fixes from Martin-Baker have focused on small issues without resolving the overall design flaw that could cause the fatal whiplash, according to two anonymous officials who spoke to Defence News. In light of this, the F-35 program has begun to look at other manufacturers for its ejection seats. Chiefly, the program is looking at the United Technologies ACES 5 model. Should the F-35 project decide to replace the F-35’s ejection seats, costs of the program could increase and the aircraft could take longer to deliver. Martin-Baker is a British company, and its role in the construction of F-35 jets allows Britain to reap economic benefits from being a part of the F-35 program. 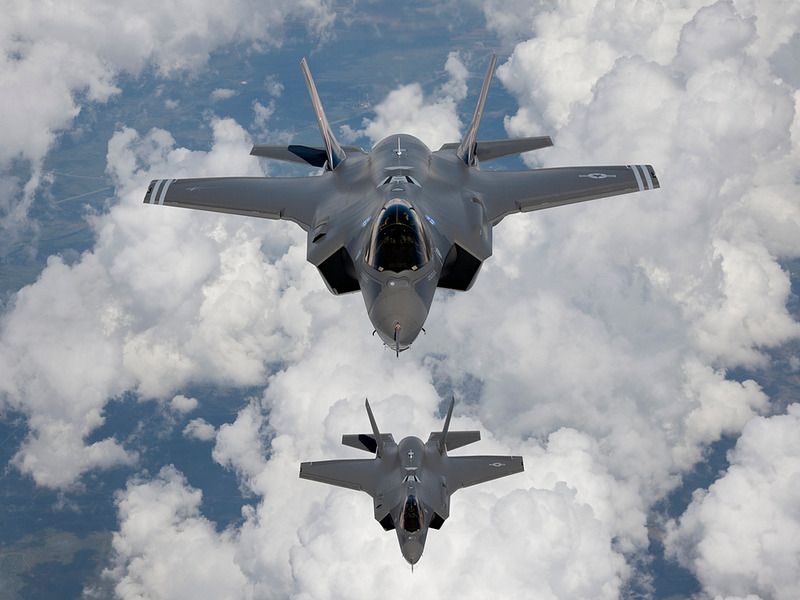 Should the project decide to scrap Martin-Baker and use United Technologies, a US company, then the UK could demand a greater work share in other portions of the F-35. Martin-BakerA test of the F-35 ejection seat. This would likely drive up costs for the program, as the supply chain and logistics of the project would need to be significantly altered. The risk of fatal whiplash was previously thought to be caused by a combination of the way in which the ejection seats rolled forwards combined with the weight of the F-35’s helmet. During simulated low-speed ejections, the heavy forces at play during the acceleration or deceleration of the advanced fighter jet would snap the neck of lightweight dummies. The problem was initially thought to have been caused by the ejection seats rotating too far forward. This movement, combined with the force of ejecting from the aircraft, would snap the dummies’ necks. However, Reuters reported in October 2015 that the risk from the ejection seats to even lighter pilots was still exceptionally small. Pilots weighing under 136 pounds had a one-in-50,000 chance of hurting their neck, while pilots weighing 146 to 165 pounds had a one-in-200,000 chance.